What killed 12 children in a school in Rio? Was it a weapon? Was it violence? Was it prejudice? Conservative Christians? The media are blaming all of these. According to the Brazilian newspaper Zero Hora, the author of the slaughter, Wellington Menezes de Oliveira, had a predilection for Islam and was fascinated by the Islamic terrorist attack against the US on September 11, 2001. His dream? To fly an airplane into Christ the Redeemer, a massive statue symbolic of the strong Christian traditions in Brazil. What was his main motivation to slaughter so many school girls? Was he a homosexual and woman-hater? Although he was in the past a Jehovah’s witness, a heretical sect with doctrines generally rejected by Catholics and Evangelicals, and was obviously confused about biblical truths, Islam is clearly the predominant religious inspiration for his violence and dreams of airborne destruction. Jehovah’s witness, regardless of their heretical views, have no history of using airplanes for terrorist attacks against buildings or murdering school children. None of the terrorists that attacked the US ten years ago belonged to that religion. But all of them were Muslim. Almost none of the mainstream media in English or other languages even mention the murderer’s Islamic sympathy. Imagine if he had expressed admiration for Hitler! Do you think they might have mentioned that? Progressives and other Marxists are trotting out numerous other explanations, everything but Islamic terrorism, even though Islamic influence on the murderer is unequivocal. The mainstream is merely nodding to the far left, which owns Brazil, lock, stock and barrel and determines the tilt of news content originating there. The grieving parents will never again be able to recover their precious children. Not just because the school was without protection, but because Brazil has succumbed to a cowardly PC ideology, which has expelled God and his values from schools, introducing a pseudo-tolerance that enshrines homosexuality on behalf of sexual diversity, Islam, on behalf of religious diversity, and African witchcraft on behalf of cultural diversity — all pillars of the new State religion of humanist Leftism. God is gone, and every conceivable ideology that tolerates and even promotes evil has filled the moral vacuum left behind. Satan himself reigns supreme. Is anyone surprised? In the US, after prayers and Bible reading were banned from the schools, those institutions became scenes of slaughter, a macabre scene that persists unabated. Brazil, a country literally at war with God, has now joined the danse macabre, with the help of a man inspired by Islamic terrorism. How to stop the slaughter? By putting policemen in the schools, as some have suggested? What if an Islamic-sympathizing fanatic policeman attacks the schools? Whom will Brazil turn to? What Brazil desperately needs is to seek God’s face. Brazil needs to kick homosexual indoctrination out of the classrooms. Brazil needs to kick “prostitution” indoctrination out of the schools. And it needs to expel witchcraft. The most conspicuous symbol of Rio de Janeiro is a statue called Christ the Redeemer, representing the One most hated by the devil. This is no doubt why the home-grown Brazilian Islamic terrorist wanted to destroy it. Let us invite Christ the Redeemer — not the stone statue, but the Living one — to enter our schools. He is our only hope and protection. One should remember that in Islamic eschatology, “the prophet Isa” (Jesus) in the so-called “end times” will return to judge the living and the dead. 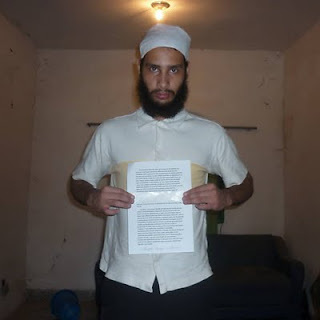 Thus, the Islamic nut head who killed those children in Brazil, was repeating an Islamic prophecy, and not necessarily indicating some sort of Christian belief, or “mental confusion”, as some Brazilian newspapers have argued. 1. mythical beliefs - all religions have these (faith) because its part of being a religion, having beliefs without proof until after the believer dies. the problem is people will believe almost anything. You sure found your and our ways to the HenryMakow website. Probably one of the best ways to put the word 'out there', and i doubt the illiteracy will allow anyone to easily find your writings in there, so i guess you should be a little les wrried 'bout it. Know that im by your side in the endeavour you have uptaken, and when the time comes, we might just fight alongside. Congratulations, and keep up the bastion.